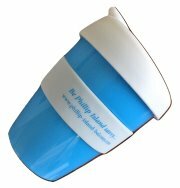 Your Phillip Island itinerary will be based on many factors. I have made some suggestions here but of course you need to organize destinations to suit your own tastes. Is it your first time on Phillip Island? If so, what have you already seen? Are you visiting with children/teenagers? Are you driving to Phillip Island or taking public transport? Do you want relaxing time or want to see as much as possible? If you are visiting during school holidays, depending on what you want to see/do it is advisable to book tickets. You don’t want to miss the penguin parade because it is totally booked out. And you don’t want to get stuck in summer traffic to the island and miss it! The suggested itineraries below assume you have your own car. Start in a relaxing way with breakfast and coffee at one of the many cafes in Cowes. 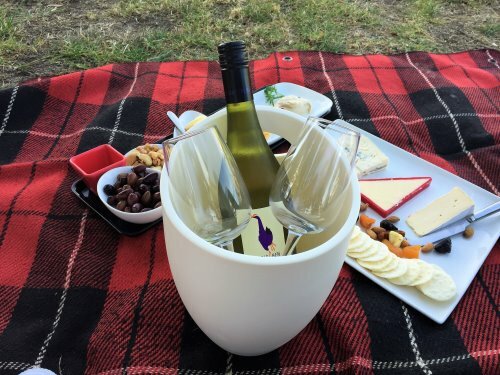 There are a lot to choose from along The Esplanade and with views over Westernport Bay, or at a footpath table on Thompson Avenue or side streets. 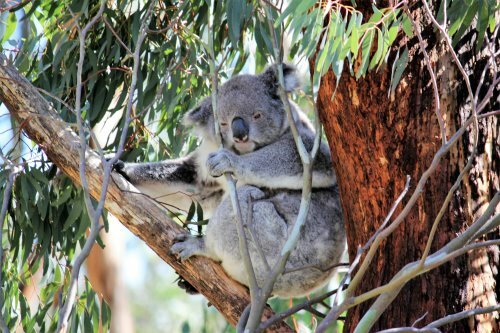 Visit the Koala Conservation Reserve for some close-up time with these cute creatures. Mostly they are just lounging around in the trees or just munching away on eucalyptus leaves. Often, they are very close, so visitors can get some great photos! There is also a very informative display in the visitor centre about koalas - their habitat, life cycle and behaviour. 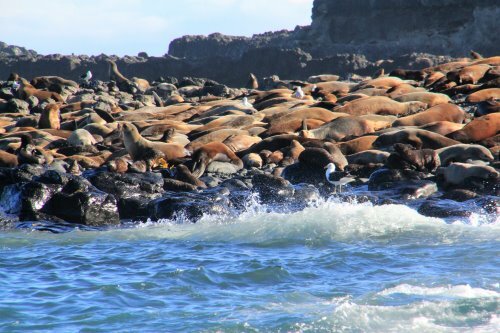 After lunch take a cruise to Seal Rocks with Wildlife Coast Cruises. Tickets can be booked at the dome-roofed booth near the Cowes Jetty. During the cruise there is commentary and afternoon tea. There is also plenty of opportunity to see dolphins and seabirds, as well as a close-up view of The Nobbies. No matter what time of year there are always lots of fur seals playing or sunning themselves on the rocks. Chill out before heading to the penguin parade. Make sure you leave in good time so not to be caught in traffic. In summer holidays the parade is usually booked out with lots of cars entering the car parks. If you can, book your ticket depending on the weather. If wet, try to book for the “underground” viewing experience. In summer, dusk and therefore penguin arrival time, is around 9.00-9.30pm. If you have very young children an option is to give the penguin parade a miss and just look in the penguin boxes at the visitor centre - there is often someone at home. After breakfast, relax at the beach or take a walk either around Cape Woolamai (not for very small children) or Oswin Roberts Reserve (suitable for prams). If the weather is hot, take water and a hat. 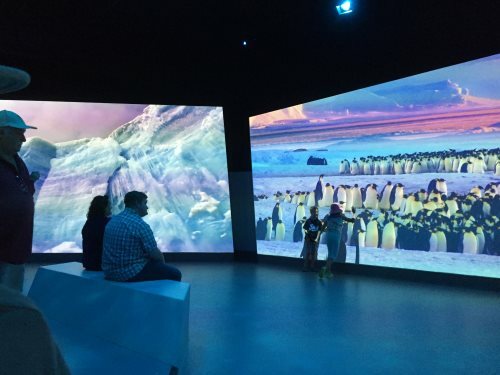 If everyone is still full of running after lunch, visit the Antarctic Journey at The Nobbies. During summer a shuttle bus runs between the penguin parade visitor centre and The Nobbies because of insufficient parking, so allow extra time for this. Or maybe spend time at a playground with young children. Teenagers might enjoy testing themselves at Clip n Climb or a spin on the go karts at the Phillip Island Circuit. Relax with a drink and dinner at one of the many bars and restaurants around central Cowes. If you can, choose one that looks over Westernport Bay as the sun sets. Time to start relaxing with some beach time. There are many to choose from depending if you want to surf, swim, rock pool ramble or just laze in the sun. Not all beaches are patrolled by life savers so bear that in mind. After lunch visit Churchill Island Heritage Farm, starting with lunch looking over the bay to the mainland. Wander around the heritage farm and see how things were done in the “olden days”. Watch shearing, cow milking, whip cracking and working sheep dogs. There is also a walking track around the island. 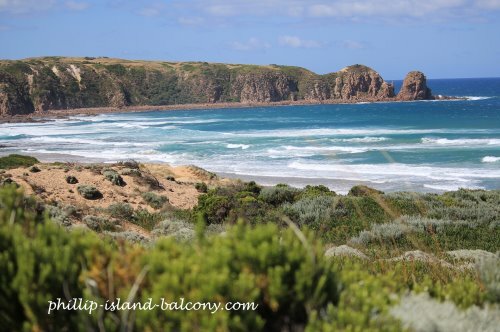 Phillip Island is a great base for day trips around the Gippsland region. 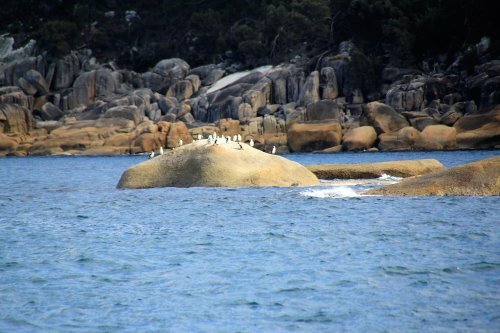 Wilsons Promontory is a full day tour but a lovely drive through rolling hills and farmland to the rugged national park. 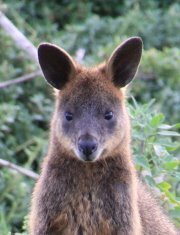 See kangaroos and wombats along the roads as well as stunning views over rocky ranges. If you have brought pushbikes to Phillip Island, take the ferry to French Island then cycle around parts of the island. Bikes can also be hired at the French Island General Store. Westernport Ferries also take tours. These are a good idea as the island is very big and only a small part of it can be covered by bicycle. 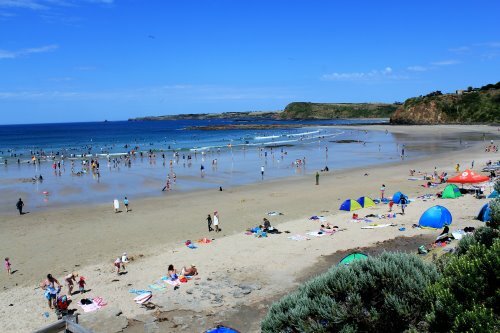 Phillip Island has several secluded beaches where mostly locals and those in the know relax in solitude. Along the beaches there are many interesting finds for beachcombers such as shark eggs, shells and sea urchin cases. At Kitty Miller Bay, walk over the promontory at low tide to the wreck of the SS Speke, lying on the rock shelf. Visit a winery for a leisurely lunch. On Phillip Island there are two from which to choose but both offer light meals, wines, views and a lovely relaxing ambience. Perfect for lingering on a hot afternoon.